I’m pretty sure that at some point in anybody’s life, they look at screaming across the sky in something capable of breaking the sound barrier and evaluate whether or not it has any real career potential. I know I did when I sat down and played through F-22 Interceptor the first time. 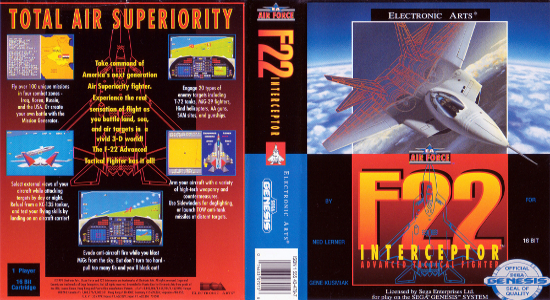 Certainly not the flight simulation we’ve come to expect from Microsoft Flight Simulator, Ace Combat, or any other of the absolutely gorgeous flight games, but if there is one contemporary that takes the excellence of F-22 and supersedes it, After Burner Climax takes the cake. Now, I’m not talking about the version that ended up on the console – I’m talking about Climax at the arcade. 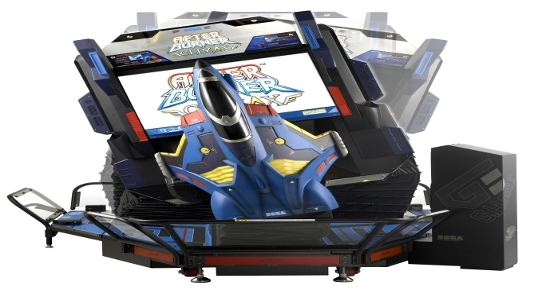 If you haven’t seen the arcade machine for After Burner Climax, there are few words that really express just how much you’re utterly missing out. Personally, the first time I saw it strolling into my local Gameworks, my jaw hadn’t even finished dropping before I was climbing into the flight chair. I guess that deep down there really isn’t suppressing the urge to fly faster, shoot down anything that stands against you and ultimately dominate the hell out of that big blue sky. But those beautiful LCD screens pouring the crisp color of the stratosphere into my wide eyes only made it feel all the more right when I got my hands on the controls. While the F-18 Hornet was a tempting choice, I just can’t say no to the perennial F-14 Tomcat, which is what made the After Burner series the franchise it is. Not because the plane is so recognizable or iconic, but before the F-22 started rolling off the assembly line in real life, the F-14 was the harbinger of the sky – truly an impressive piece of technology that carried with it the same weight when piloting it in-game. On top of that, the game was insanely fun. It had its arcade-like flair that kept me coming back for more, even when it seemed like I might be flying by the seam of my pants. But, with the odds of me actually soaring into the sky in a real fighter as low as they are, After Burner Climax proffered me the same exceptional feeling and only asked that I slightly suspend my disbelief – at least until I had used up everything the current credit afforded me. 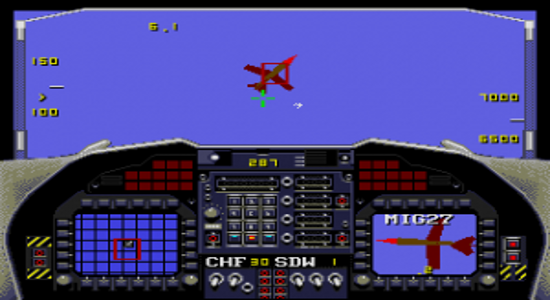 Conversely, F-22 was significantly less arcade and a whole bunch more simulation. The game was rendered entirely in 3D, which was damn impressive for it’s time while still being a joy to play. The only real problem was that, while the game offered as close to the reality as possible, the upper limits of gameplay could only do so much when placed side-by-side by the limitations of the same technology that made it fun to play. 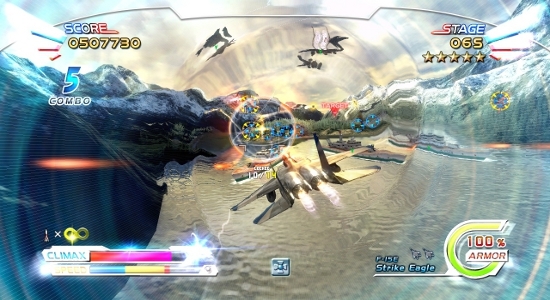 Choosing from Cadet, Training and Combat all had their distinct moments that gave the game an overall exceptionally cohesive personality, but the problem was that when the sky was full of bullets, flak and missiles – F-22 had a way of slowing to a frame-by-frame crawl, which is what broke the fourth wall, eliminated any immersion and reminded me firmly that I was sitting in front of a television playing video games – not a member of an elite fighter squadron. However, the barrier was ultimately enough to keep me from going back to F-22 on a regular basis. Sadly, playing on my Genesis made me want an experience that was more realistic and because technology didn’t allow for it to be so, it just made the whole thing feel more or less like one massive pipe dream. But succinctly, I do have great memories of the game and if nothing else, it made my time in the arcade with Climax all the sweeter. After all, no simulation is going to be absolutely perfect. If that were the case, nobody would be playing the games, they would be out making a career of whatever it was they wanted to be simulating. This is more than the case with F-22 Interceptor. No matter how many times you fly missions against Russia, Korea, Iraq or in the US – nothing in the game really comes close to the actuality of doing the exact same thing in reality. While this is arguably the biggest flaw in the game, it also continues to keep it firmly rooted in the console as a game, simply because sometimes, it’s just better to dream. So, I’m not an ace fighter pilot and I probably never will be, but that doesn’t mean I won’t end up returning time after time to Gameworks if for no other reason that to remind myself of what could have been and for a few moments, to push the envelope and dominate the skies – at least until it’s time to make my way back home.